Mike Rossi, the democratic candidate for the 15th district, continues to add endorsement after endorsement, a growing sign of discontent and unhappiness with incumbent, Jim Christiana. 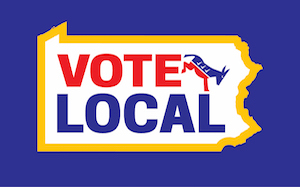 Rossi, a champion of labor and the middle class, has been endorsed by the AFL-CIO, the PSEA (Pennsylvania State Education Association), the Communication Workers of America (CWA), the IBEW (International Brotherhood of Electrical Workers), and most recently, the United Mine Workers of America (UMWA). The PSEA alone represents over 180,000 Pennsylvanians. “I’m honored and humbled to have received the endorsements of these prestigious, hard-working organizations who represent the heart and soul of our middle class, ” Rossi said. “It sends a clear message to the voters of the 15th district, Beaver, and Washington Counties, that Jim Christiana is out of touch with the middle class. He has turned his back on working families, on labor, and on those the unions represent. Eight years of Jim Christiana is enough. I, on the other hand, live the life of a union member, a good middle-class life with decent wages. I am one of you, and I will never turn my back on so many hard working brothers and sisters. You can count on that when I become your next state representative”.